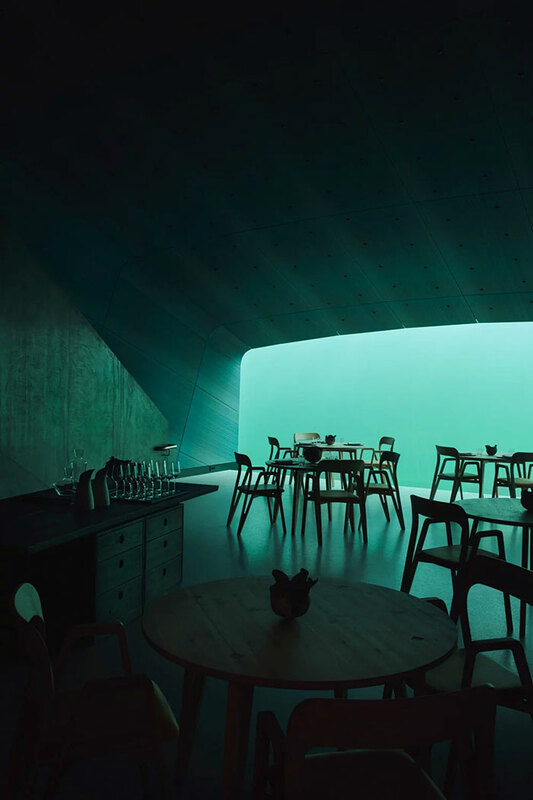 Europe's first underwater restaurant, Under, welcomed guests in Lindesnes, Norway on March 20th, 2019. In Norwegian, "Under" has the dual meaning of "below" and "wonder". 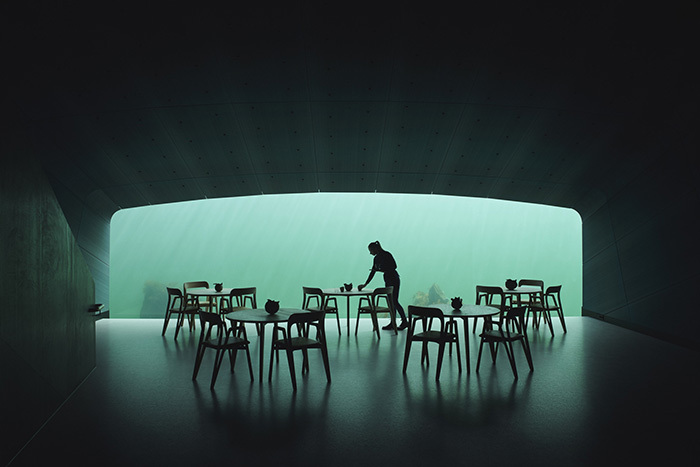 The restaurant also functions as a research center for marine life, providing a tribute to the wild fauna of the sea and to the rocky coastline of Norway's southern tip. 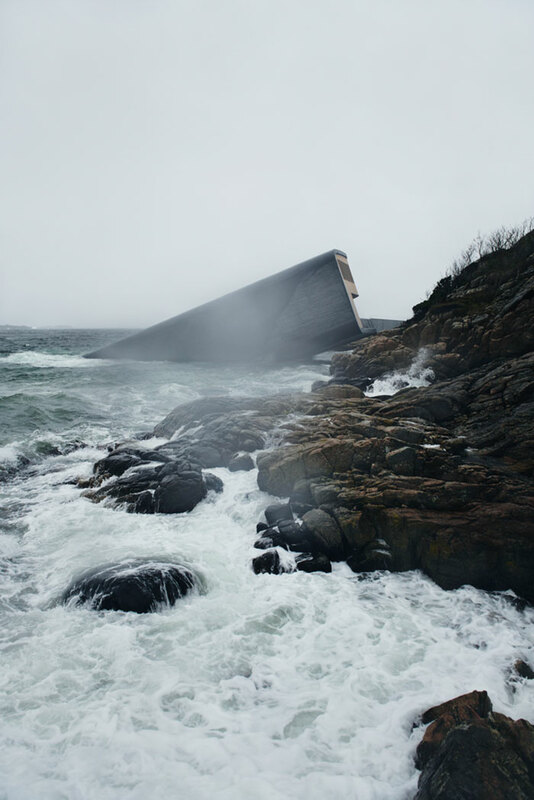 "As a new landmark for Southern Norway, Under proposes unexpected combinations of pronouns and prepositions, and challenges what determines a person's physical placement in their environment." 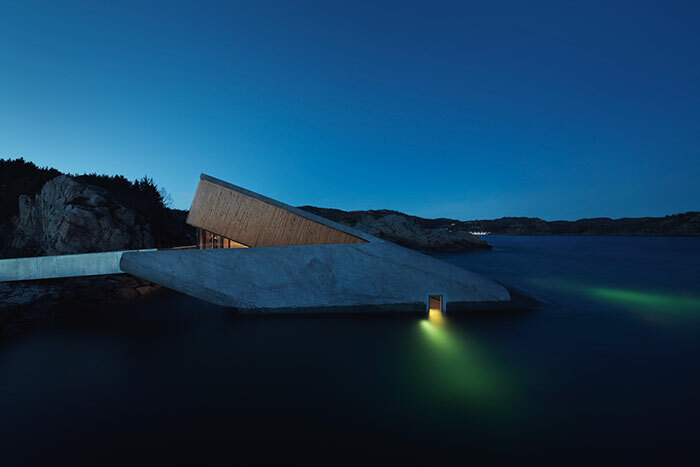 He continued: "In this building, you may find yourself under water, over the seabed, between land and sea. 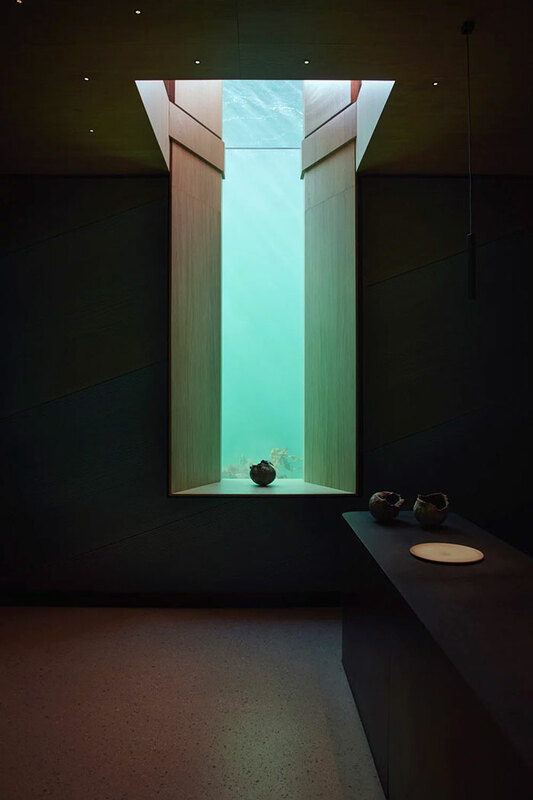 This will offer you new perspectives and ways of seeing the world, both beyond and beneath the waterline." "For most of us, this is a totally new world experience. It's not an aquarium, it's the wildlife of the North Sea. That makes it much more interesting. 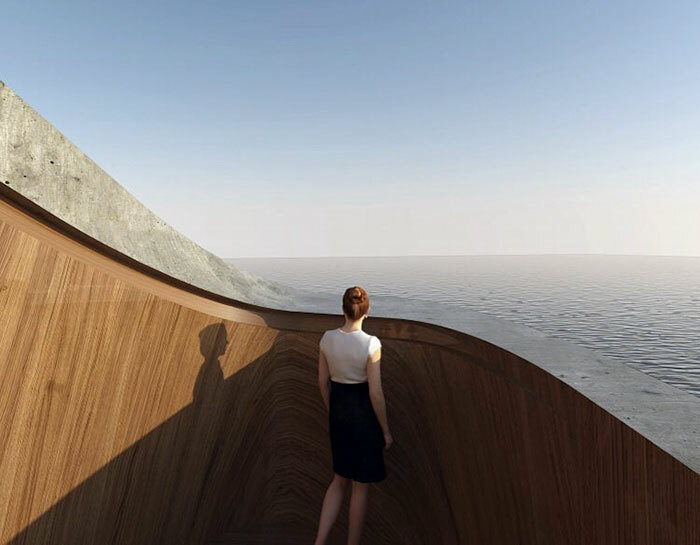 It takes you directly into the wildness," Rune Grasdal, lead architect of Under, told Dezeen. 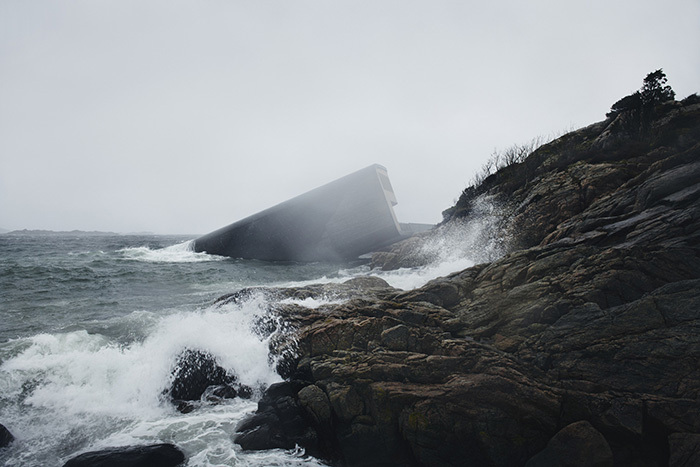 "If the weather is bad, it's very rough. It's a great experience, and to sit here and be safe, allowing the nature so close into you. It's a very romantic and nice experience."